Why would two mutant species who normally hate each other work together? Who rules them? What horrors, and loot, will be found in the buried hotel? Only a closer inspection will reveal the truth. Lilac Towers is our 5th One Day Dig and was written by Danny Seedhouse. 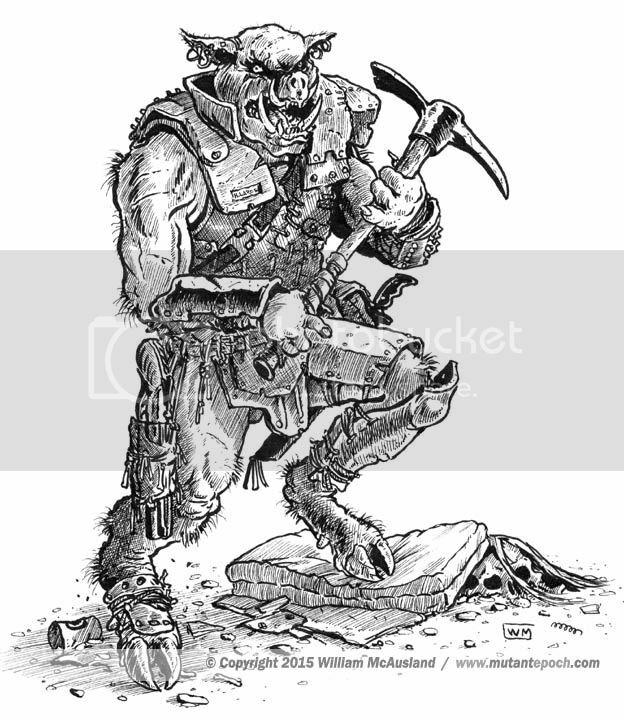 These short, single session adventures are crafted to showcase a bit of The Mutant Epoch setting and flavor, introduce some creatures and relics, as well as offer an example of how the Outland System game mechanic works. While previous ODDs were designed for first rank characters, this one’s a bit more challenging and PCs should at least be of 2nd rank. This is a Pay What You Want product. Broke? No worries, grab it for free, or check it out first and pay later, or if you like what you see now, please feel free to throw a buck or two in the tip jar, and leave a review someplace. Danny and I sure would appreciate it! 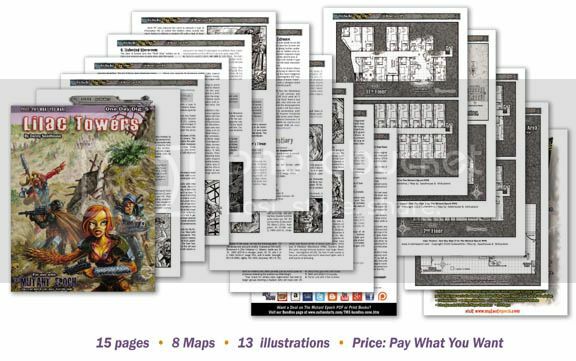 Contained in this 15 page pay what you want product are 8 maps, 14 illustrations and two creature variants including Moaner Immortals and Tuskers.